Trey Songz has landed himself on Pastor Donnie McClurkin's prayer list. When Songz, the 31-year-old R&B singer who was born as Tremaine Aldon Neverson, took the same flight as gospel singer McClurkin as they were headed to Nigeria, the latter sang his praises. "Flew in together from Nigeria with one of the greatest young men @treysongz go bless him," McClurkin shared on Instagram. "It was a pleasure meeting you, young man! Love you and praying for you!" McClurkin, the pastor of Perfecting Faith Church in Freeport, New York, who heads the Camdon Music record label, has a gospel music career that spans almost 20 years. 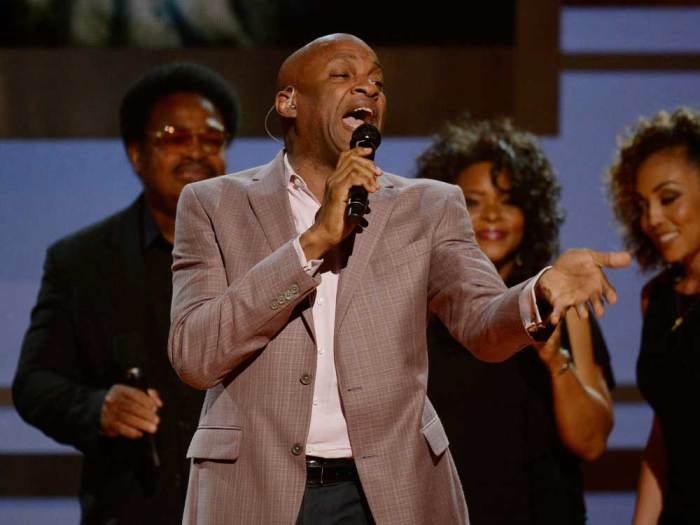 While he's a leading voice in gospel music, McClurkin previously told The Christian Post that he enjoys secular music in the same way that secular musicians enjoy gospel songs. "When Golden Gate Jubilee Quartet were out, that was gospel music and then when Mahalia Jackson was out they called that Rock and Roll. That was Mahalia singing the Blues. ... She clapped her hands and switched her hips when she sang," McClurkin added. "She brought in a band with drums and music. Now we consider Mahalia Jackson traditional." He continued: "Now, Andraé Crouch and The Hawkins are traditional because the Winans came along. The Winans are now considered traditional because Kirk Franklin came along. It's always been progressive. So this new group of gospel musicians like Tasha Cobbs, Jonathan McReynolds, and people like Isaac Carree and Zacardi Cortez, James Fortune and the list goes on ... they're picking up where we left off." While the pastor and gospel singer is excited about the current state of gospel music, he admits that it is not always easy to sell records in the gospel music industry.